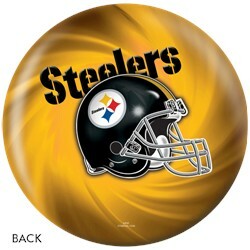 Pittsburgh Steelers fans! We have a treat for you! KR has made a NFL Pittsburgh Steelers bowling ball that can be used at any alley in any lane condition. what is the strike power of this ball? Hello Betty Lou! This ball isn't really meant to be a strike ball. It's really just meant to roll straight down the lane. It's meant to be a spare ball. Hi. Unfortunately, no. The bag is sold separately. 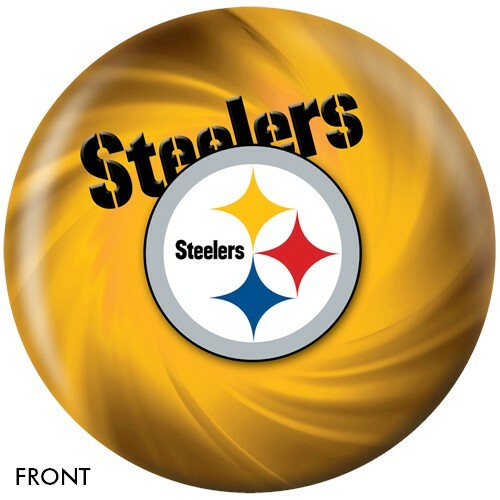 Is this a reactive ball or a urethane? This will be a plastic/spare ball. Due to the time it takes to produce the KR Strikeforce Pittsburgh Steelers NFL Ball ball it will ship in immediately. We cannot ship this ball outside the United States.